Matter is the portion of the universe that humanity can comprehend through its limited sensory capabilities. Accordingly, matter is everything that can be touched, seen, smelled, heard, or tasted. All of Corthis is composed of matter, as it is the fundamental building block of the world. Matter is classified into categories: simple and complex. Simple matter is made up of one type of element. Simple matter is extremely rare to find in Corthis. Earth mixes easily with the other elements. Water almost always contains impurities. Air often picks up particles of earth and carries water easily. Fire is considered to be the most common simple matter, but even that can obtain impurities from its fuel. Complex matter is composed of two or more elements. The most complex forms of matter, such as living organisms, contain all four elements. In complex matter, one or more of the elements is dominant over the others. Only in gold are the elements in perfect balance. Alchemists use nine characteristics to describe matter in their experiments. The Prime Matter is the primordial, unorganized chaos that is the original state of the universe. In its natural state, the Prime Matter exists in an unmanifested form that is between energy and matter. Since the start of creation, the Prime Matter is rarely found in its natural state. Instead, it has taken the form of the five elements and comprises the very fabric of the universe. The Prime Matter has several properties that are known to alchemists. First, it is eternal. It cannot be created or destroyed, but it can be transformed. Second, the amount of Prime Matter in the universe is fixed, permanent, and unaffected by the passage of time. Third, the Prime Matter is cyclic. It is constantly changing from one thing to another. It is born, grows, and dies, only to be reborn again in a fluid process that is constantly in motion. 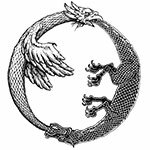 The alchemical symbol for the Prime Matter is the Ouroboros, a circular snake eating its own tail, which represents its cyclic and all-encompassing nature. Since the Prime Matter is the source of all things, it is present in everything — in the dawn's dew, the rich loam of soil, the greatest of trees, and in the wide oceans. While the Prime Matter is there, it is hidden, cloaked in the guise of the Elements. To find the Prime Matter, alchemists must look for it on the edges of reality, where one place or thing changes to another, such as a threshold, the sea strand, crossroads, or even in the twilight. At these liminal locations, the Prime Matter might be present in its natural state. There is a second, more laborious, method of finding the Prime Matter. Since everything is made of Prime Matter, everything can be changed back into Prime Matter. An alchemist can reveal the Prime Matter from any material if that material is completely dissolved and broken down into its most fundamental essences. The alchemist must divest the matter of all the physical properties represented by the four base elements and aether. This is extremely difficult work and alchemists are rarely successful. Many alchemists seek the Prime Matter as it can be used to mold the elements from one to another. With this ability, an alchemist could even purify the elements in question, making the Prime Matter the foundation of the fabled Philosopher’s Stone. The Two Contraries are the children of the First Matter. Philosophers believe that they were born from the chaotic darkness of the First Matter in the tremendous burst of energy and light that created Corthis and the celestial spheres. The Two Contraries are the reciprocal principles of nature, usually described as active and passive. All things are engendered through the union of these two opposing forces. The active force is Sophic Sulfur. The sophic title is used to differentiate it from the common material. Sophic Sulfur is the active energy of any substance or situation. It is aggressive and penetrating and described as masculine. Sophic Sulfur is linked to the sun, air, and fire. It is represented by the King, a philosophical construct that exemplifies the traits of this Contrary. Metaphysically, the Sophic Sulfur forms the soul of a creature and expresses its consciousness and intellect. The passive force is Sophic Mercury, which is the passive energy of any substance or situation. It is receptive, reflective, productive, and described as feminine. Sophic Mercury is linked to the moon, water, and air. It is represented by the Queen, the philosophical counterpart to the King. Sophic Mercury forms the spirit of a creature and expresses its vital force and self-awareness. Metals are formed by differing impurities and concentrations of Sophic Sulfur and Mercury. Gold is the purest and most balanced of the Two Contraries, while lead, as the metal associated with the planet Elus, is the most unbalanced. One of the powers of the Philosopher's Stone would balance the Sophic Sulfur and Mercury in a metal, perfecting it, which would turn lead into gold. While they are opposites, Sophic Sulfur and Sophic Mercury work with each other and neither can survive without the other. In time, each Contrary will transform into the other, in a constant dance that drives reality. The two are often depicted through the Double Ouroboros. 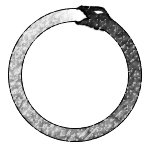 This version of the Ouroboros has two dragons looping in a circle, eating each other's tail. One dragon is dark while the other is light. One has wings, while the other has feet. The Three Essentials are the trinity of forces that make up the universe. The first two essentials are Sophic Sulfur and Sophic Mercury, which are described above. The third essential is the child of the other two — Sophic Salt. Sophic Salt represents fixity, materialization, and the formation of bodies. It freezes the dance of the Two Contraries, grounds them, and condenses the light of Sophic Mercury and the energy of Sophic Sulphur into form and substance. It allows Sulfur and Mercury to exist and function in the physical world. Salt represents the body and is linked to the element of Earth. The Three Essentials are the building stones of the elements, and their properties define all of creation. Alchemists believe that the Three Essentials first arose from the Prime Matter. The first of the essentials to arise in the chaotic sea of the Prime Matter was the consciousness of Sophic Sulfur. Consciousness needed a vital life force to exist, so Sophic Mercury sprang into being as the balance and companion of Sulfur. Life and Consciousness needed form, so the two combined in a tremendous burst of energy and life force, creating Sophic Salt and concurrently the Four Elements and all of the life in the universe. The Three Essentials are symbolized by a three-headed dragon or a triangle. Each of the Four Elements (described below) is also represented by a triangle to show the existence of the Three Essentials in the elements.